At CMS we are ready to handle all of your shell and tube design needs. 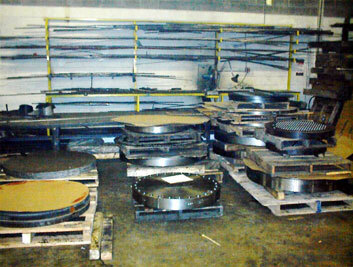 CMS can fabricate, refurbish and repair nearly every model of shell and tube heat exchangers. We also off new design to accommodate your special mechanical, process, economic and maintenance concerns. For an extensive variety of U-Tube, straight and multiple pass, fixed and floating head models, CMS is your source for shell and tube design. Every heat exchanger CMS constructs is available in a wide variety of materials including carbon and stainless steel, titanium, naval and admiralty brass, CuNi and many other nickel alloys. Whether your concerns are for extending a unit's service life, unusual or harsh operating environments, sanitary process needs, or economic considerations; our design staff can recommend the optimal materials to meet your most stringent requirements. Our products are engineered to meet rigid standards, and all can be provided in accordance with ASME Section VIII, Section V, Section IX of the Boiler and Pressure Vessel Code, TEMA, API, HEI and 3A specifications. "U" and "R" stamped units are available upon request. A sample of the materials CMS routinely keeps in stock. 304L St St 316L St. 3A 516 Gr. 70 Ca St and other materials awaiting production.